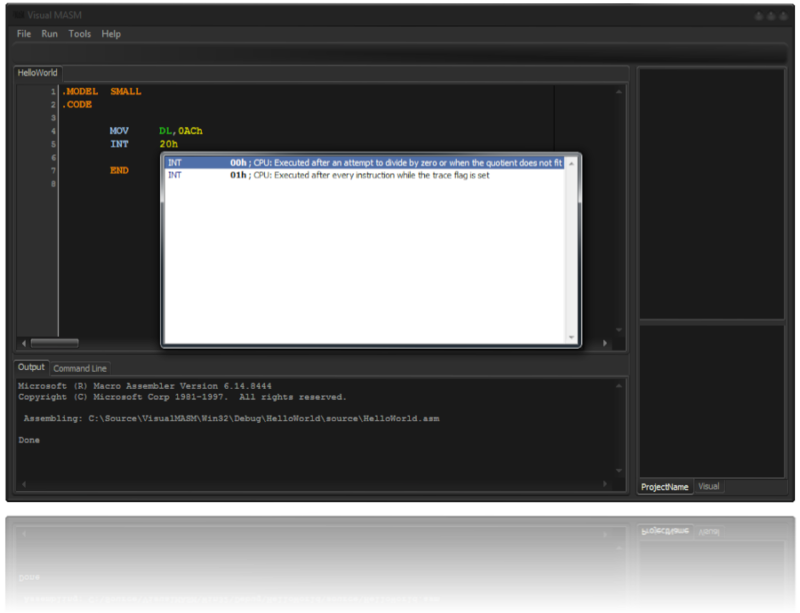 I’m prou d to announce the first release of my Visual MASM IDE 1.0. With Visual MASM, you can program assembly applications for Windows 32-bit, Windows 64-bit, and even MS-DOS 16-bit COM and EXEs. Visual MASM uses Microsoft’s powerful Macro Assembler but makes it easier to manage all of your Windows assembly programs. I have included simply Hello World applications that range in size from 254 bytes (COM file) to a whopping 2,5 Kbytes for a Windows 32-bit and Windows 64-bit application. Head on over to http://www.visualmasm.com and download it, it’s free. As there were not enough reasons already to write Windows applications in assembly (see my Visual MASM project site), I just found out yesterday about some great new development in the SoC (System on a Chip) industry. Intel came out with the Intel Galileo Gen 2 which features a full blown 586 Pentium class computer. What’s so awesome? It’s super tiny and just a little bigger than a credit card. So, you can install and run Windows or Linux on it. How freaking cool is that? No noise and about 5 Watts of power consumption… the possibilities are incredible. Put Windows 10 on it for free, here is how. Create your Windows applications in MASM and my Visual MASM, off you go… amazing. Go check out Microsoft’s Internet of Things(IoT). I just published a sneak peek video about my Visual MASM IDE for Windows assembly programming. Take a look and let me know what you think. Well, I decided to work on my Visual MASM for Microsoft’s Macro Assembler in my spare time. This will be a full featured IDE for assembly programmers. I published an IDE for assembly programming many years ago back in 2001 called VASM but I never finished it. With Visual MASM you can create MS-DOS and Windows applications for 16-bit, 32-bit, and 64-bit Intel and AMD processors. Visual MASM looks & feels in many areas like the Delphi IDE or Visual Studio. This will be an ongoing process and I will update it when I have time. Creating assembly programs for Windows is actually easier than MS-DOS applications since you no longer have to re-create the wheel(s) anymore because Windows has thousands of API’s available for you. If you are interested in learning assembly programming and maybe find out why you would want to do that, run over over to my new website and check it out at http://www.visualmasm.com.